This new book is considered the best work of the apologetic Protestant movement and it looks like that to me. "You may know the statistics. What you probably don't know are the advances the Church of Jesus Christ of Latter-day saints (LDS) is making in apologetics and academic respectability. With superb training, Mormon scholars outclass many of their opponents. Arguments against Mormons claims are increasingly refuted as outdated, misinformed, or poorly argued. The New Mormon challenge is a response to the burgeoning challenge of scholarly Mormon apologetics. Written by a team of respected Christians scholars, it is free of caricature, sensationalism and diatribe. The respectful tone and responsible rigorous, yet readable scholarship set this book in a class of its own." This is an admission that until now we were right in denouncing caricature, sensationalism and diatribe in writings of our Christian fellowship, in fact I consider myself a Christian even the writer of the Book even though he writes he is respectful of us continues to use the name Mormons for us and Christians for them. "I will not speak for the LDS folks here, but as an evangelical I must confess that I am ashamed of our record in relating to the Mormon (sic) community. To be sure, there are deep differences between our worldviews. I strongly disagree with what I understand to be traditional Mormon (sic) teachings about God, about human nature, and about what it takes for a sinner to get right with God (practically everything), matters on which the Ladder-day Saint (thanks) differ not only from standard Protestants teachings but from Roman Chatolich and orthodox traditions (Thanks God, for that reason we think to be the true church!) as well. But none of those disagreements give me or any other evangelical the license to propagate distorted accounts of what Mormons (sic) believe. By bearing false witness against our LDS (thanks) neighbors, we evangelicals have often sinned out not just against Mormons (sic) but against God who calls us to be truth-tellers." "caricature, sensationalism and diatribe" and to propagate distorted accounts of what Mormons (sic) believe. "The respectful tone of these essays, then, is a laudable attempt to set the record straight (finally! ), not by coating over real disagreement, but by inviting our Mormon (sic) friends to engage in a mutual exploration of some of the fundamental issues that bear on the human condition"
"The phenomenon that is most relevant to the present discussion, however, is the emergence over the past several decades of a community of gifted Mormons (sic) intellectuals who have earned the right to be taken seriously in the larger academic community. Not only has Brygham Young University proved itself to be an important center of intellectual activity, but LDS (thanks) scholars can be found throughout the ranks of the North American academy. This fact by itself should dictate that evangelicals treat Mormonism (sic) differently than the other groups that we have typically AND MISLEADINGLY lumped togheter as "the cults". Christian science has had almost no influence in the academy. And we are not being flippant in saying that the term "Jehovah's witness scholar" has the feel of an oxymoron. But the existence of a highly intellectual Mormon (sic) subculture, where LDS scholars engage in serious exploration of other perspective and debate these matters openly among themselves suggests that we would do well to treat the Mormon(sic) world-view as a serious intellectual perspective." I am happy for the lds people but how can be happy for the believers of the science and the Jehovah's witnesses. How it is possible to classify any other believer as moron, or cult, or sect, just because we think to be the best? The real Christian can think to have the truth and that makes the other in error but to classify them stupid for that reason I don't think is Christian. Anyway I have to admit I like the idea and the approach but to be honest with you I am not sure what is the real deal here. The writer wrote this book to challenge others instead to promote something. They write this book because they are scared from the fastest growing movement and the book is a consequence, they are saying they do not want to try to destroy what we believe but that is the hidden purpose. The tone is respectful but the purpose is the enter the house kindly and politely but just to destroy it. In Italy we use to say:"iron hand in a velvet glove"
All these different translations of the Bible made me think, maybe they will use the more proper to make their point, a weapon for every occasion, you will see later when we will go further in the book that they will study or check every single word that maybe they don't like, so they will go back to the original text to check other meanings, implying that the translator was at least wrong. They will jump from a word found in a New testament Book to the same word found in the old testament book just to prove their point, as the writer in 600b.c. was in connection with what Paul was writing in his epistle. They will go back and forth and if you don't have a master degree in old Hebrew or Greek, you will be in trouble, above all you need to consider that you don't have access to the original text of the masoretic text, so you are in their hands. But why they do that? Yes they really believe in our article of faith because, we use only the king James version, well we can use all of them but we prefer the KJV because we think is the more accurate, instead they have an army of Bibles, and clearly they choose the one that in some instances is the more adherent in translation for their purpose. So my challenge to these people is to provide ONE Bible, an inequivocable Bible for all the times, is that possible? This would be very important because the division between Chatolichs, Protestants and the other Christians is caused just from the Bible itself. The Koran and the Book of Mormon have their own original text, I am not sure about Koran but we have the first book of Mormon printed and even there were little changes we can always check the original, and the Protestants know this very well because they used to talk about the minor changes. But what about the Bible? you as believer in the Bible you need to supply one and forever as basic text, we can't go back all the time to the original text, even because there is not anymore the original one. This is your problem because that is your text book mainly, we have some more luckily. So please if you want to play cards used the right ones, if you want to talk about the Bible please chose one and let us know which Bible is the correct one to discuss with. at page 21 there is a note about Mormon doctrine. There are two passages interesting on my opinion. "Many writers have a tendency to classify any teaching by Joseph Smith, Brygham Young, or other LDS prophets and apostles as "official Mormon doctrine". Latter-day Saints, however, do not view the teaching of their apostles and prophets in that manner, nor, indeed, have LDS apostles and prophets, who have regularly had differences of opinion between themselves as to what constitutes church doctrine"
"Indeed, even the three editors have some differences of opinion among themselves. In itself, this lack of complete consensus testifies of the plurality of views and shifting of currents one finds in contemporary Mormonism." A note about the Contributors. "It is worth noting that the contributors and editors of this book represent a broad spectrum of the evangelical movement. They come from a variety of denominational backgrounds, including, Presbyterian, Evangelical Free, General Baptist, Foursquare Gospel (i.e. Pentecostal), Anglican, Lutheran (Missouri Synod) Free Methodist, and the evangelical wing of the Society of Friends." Practically they are divided in doctrines, otherwise they should be part of the same denomination or faith, but united against the lds church, they are divided in beliefs but united in business, probably because they are loosing a church per week by the LDS. The author go ahead:"Though the authors are all evangelical Protestants, they are representative of a much broader constituency. The position they defend in this book are not provincial evangelical positions or even specifically Protestants positions. They are rather, doctrinal beliefs that C.S. Lewis so famously identified with "mere Christianity." Simple because this book is not regarding their doctrine, otherwise they would be as always divided, but regarding our doctrines. A note to evangelical reader. a sincere remark is found where it says:"Too often theological discussions between Christians and Mormons (sic) lapse into conflicts of personality, accusations of dishonesty or insincerity...... We place the greater responsibility for these shortcomings on the members of our own faith community. Our encouragement is to follow the example of the authors of this book, who provide answer with gentleness and respect"
Well regarding the respect I am not sure because the authors are often using the nickname "Mormon" for us and always the name Christian for them, clearly we are not Christian for them and this is not respectful, for this reason I am doubtful regarding their "manifested" respect. Well here the author is not saying the truth. By his admission the apologetics lds came out to DEFEND the church not in attacking others and on the cover of the book it is written "RESPONDING TO THE LATEST DEFENSES OF A FAST GROWING MOVEMENT"
Consider this for a moment he is sincere that our are DEFENSES and we are a movement no a church. So when he write he is not willing to avoid confrontation he is clearly meaning that he wants it because we never attacked we were always defending our beliefs, so he is interested in tearing down our beliefs because the confrontation was done from their part and because their are loosing a church per week the want confrontation and so on. this is clear for me. If you do not want confrontation you just explain your beliefs and make your points, but doing that they are loosing a church per week so they are trying to change strategy. "all too often Christian have tended to view Latter-day Saints as belonging to one of only three possible categories: those who are sincere but unintelligent; those who ma be sincere and intelligent but simply are uninformed about the facts of the Bible, Christian history, and Mormonism; and those who are intelligent and informed but are dishonest and insincere. (a good picture of us thank goodness!) It has been though that if the "facts are simply (sic) presented, sincere and intelligent Latter-day Saints will necessarily see that Mormonism is false and Christianity true. If a Mormon (sic) does not see this after she has been presented with the facts, then she must be either unintelligent or dishonest." So we need to agree at the end otherwise we are stupid or dishonest, we are lucky because he is trying to be courteous with us and above all respectful. "Carl Mosser challenges Christians theologians and apologetics to keep up with trends in contemporary LDS theology rather then relying on OUTDATED AND INACCURATE PORTRAITS OF MORMON DOCTRINE." THE APOLOGETIC IMPULSE IN EARLY MORMONISM. "one cannot make full sense of the initial rise of Mormonism without recognizing that there were strong elements in it that resonated with thoughtful people on the frontier. I do not mean by this that the "rational" element was the only factor, perhaps it was not even the primary or secondary factor to which one can attribute the success of the early LDS movement. But for many at the time there was undoubtedly a logic to it and certainly enough culture resonance of a rational sort in the message of the Mormon "restoration" of Christianity to attract intelligent, reflective people. Of course, I am not talking here about professors, academics, or trained scholars, there were none in the early LDS church"
Clearly the academics of Jesus time didn't accept His Gospel would you compare this to our time please? "We are discussing here very bright but not highly educated people on the frontier who were unwilling to join a religious movement without they thought were good reasons"
Think about this our missionaries are asking always from the very beginning to pray God asking to know the truth by Him, there is nothing "cultural" or "intellectual" in doing this but still the writer loves to point out that there was an intellectual attraction to Mormonism and in his own words. "Indeed, I would take these observations about the popular intellectual attraction of the early Mormon (sic) message one step further. I think it is safe to say that the Mormon Restoration of "true" Christianity was itself a movement with an apologetic message at its center. Joseph Smith and the other leaders of the new church were in agreement that something was terribly wrong with the state of the Christian faith in their day and that no tinkering with a doctrine here or a ritual there was going to correct it. Enlightenment thinking had taken a dramatic toll on a range of sacred ideas, and the various churches themselves were finishing the job via revival campaigns against one another. In many ways, I believe, Mormonism represents Joseph Smith's attempt to save Christianity by reinventing it ( what the Latter-day saints would call "restoring" it) and then outdoing rival forms in the religious marketplace of his day on the basis of superior authority, rationality and relevance. Ironically, in the course of restoring Christianity, the latter day saints eventually made it unrecognizable and less relevant for later generations not steeped in popular nineteenth century categories of thought." This last part if very ironical but for the Protestant especially for the authors of this book because they declared at the very beginning of these book. With super training, Mormon scholars outclass many of their opponents. Arguments against Mormons claims are increasingly refuted as outdated, misinformed, or poorly argued. over 60.000 full time missionaries, more than ANY OTHER SINGLE missionary sending organization in the world. more than 310.000 converts annually. Within 15 years, the number of missionaries and converts will roughly double. Richard and Joan Ostling, in Mormon America: The power and the promise, report that with over ten million members worldwide, and projections of a membership exceeding 265 million by 2080. Mormonism is on its way to becoming the newest world religion since Islam. He continues:" A key to this growth has been the Mormon effort to portray their faith as a genuine heir of the Christian tradition, for as Ostling notes, "The bulk of converts" to Mormonism "come from conventional Christians backgrounds"
from the Book "Mormons defenders"
The seriousness of our situation became urgently clear when InterVarsity Press published an interfaith dialog between Dr. Craigh Blomberg (Denver seminary) and Dr. Stepehn Robinson (Brigham Young University) entitled , How wide the divide? Clearly the writer wasn't satisfied of what Dr Craig Blomberg presented and maybe he thought that Dr. Robinson won the prize because he continued:"I was disappointed that Dr. Blomberg was not more aware and critical (practically is saying that Dr. Blomberg didn't understand much of what was going on) of Dr. Robinson's less-than-mainstream (or less-than-candid) presentation of his Mormon faith. so when Mr Craig J. Hazen declares :"Ironically, in the course of restoring Christianity, the latter day saints eventually made it unrecognizable and less relevant for later generations not steeped in popular nineteenth century categories of thought." It is ironical against himself. "there was undoubtedly a logic to it and certainly enough culture resonance of a rational sort in the message of the Mormon "restoration" of Christianity to attract intelligent, reflective people. Of course, I am not talking here about professors, academics, or trained scholars, there were none in the early LDS church"
Clearly Joseph Smith can't be declared a learned person at all! so listen now what Mr. Craig hazen declares here:" The biblical messages preached by LDS missionaries and leaders ( keep on mind this:" Of course, I am not talking here about professors, academics, or trained scholars, there were none in the early LDS church") seemed to have a common sense and a plainness about them for which potential converts longed. As has been observed by a number of scholars, Mormon (sic) teachers were able to achieve this primarily because they were both literal and selective in their approach to the Bible. By focusing primarily on biblical passages that served restoration purposes ( so there are in the Bible restoration passages), such as the nature of the primitive church, the belief in apostasy and later restoration, millenialism and so on, they could use the Bible more strategically as a pointer to the latter day activities and avoid the COMPLEXITY that faced Protestant biblicist ( they were more learned but even more stupid according to Mr. hazen) in harmonizing texts and doctrines throughout all sixty six books. This was a decided advantage over competitors..... Careful selection of texts to promote and careful selection of texts to neglect was one of the ways that Joseph Smith "out Bibled" the traditional biblicists who surrounded him"
Practically Mr'Hazen is saying here that the unlearned Joseph gave check mate to the learned Protestants, I'd say this is a very good compliment for our prophet and it sounds how Mr. Hazen it is just saying that his people were totally stupid. Mr Hazen trying to prove that Joseph was influenced by others quotes:" Popular religious leaders such as Elias Smith, Lorenzo Dow. Alexander Champbell. Francis Asbury, Barton Stone, and William Miller all preceded Joseph Smith with a robust call to return to the pristine era of the New testament church." Well this proves that even the Protestants religious leaders were aware of this restoration and Jesus was the real Messiah even though many prophets were speaking about him long before He came, this is to say that even Jesus was said to fulfill prophecies because He knew them but a Messiah should come anyway as a restorer in the last days, The complaints of these religious leaders are a clear proof that they were aware of an impelling necessity, instead the leaders of the Protestant now are more focused on criticize other belief instead to check their faults. 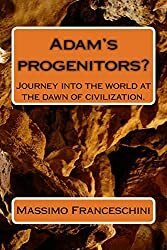 According to more mainstream primitivists such as Asbury, Campbell, Stone and others, there was a falling away from the original apostolic teaching and order in the Dark ages that cul,imated in the near extinction of the true church. But for them a remnant always remained. The Reformation heralded a valiant attempt to return to New testament teaching, but it had failed to cast off many of the creeds and tradition of men that still stood in the way of a full relationship with the Christ of the New Testament." Here Mr. Hazen focuses his attention to the first vision of Joseph Smith and the miracles performed from Joseph Smith. "Reports of physical healings were also magnified. Newspapers in western New York and Ohio reported alleged healings and "divers miracles" in 1830-31, but they also reported failures." Anyway it seems evident that Mr. hazel is not aware that LDS people are converted by the prayer and not by miracles as he likes to point out, always the missionaries from the very beginning have challenged people to trust in the Moronih's promise not in miracles. To be completely honest this part was pretty boring for me and also on my opinion the writer is doing a conceptual point instead to try to understand the spiritual point contained in the conversion of Joseph Smith, probably because even though this guy is saying that he is trying to be well balanced in his intentions, clearly he is thinking that Joseph Smith is clearly a liar and a deceiver. Joseph Smith described his conversion in this way. 10 In the midst of this war of words and tumult of opinions, I often said to myself: What is to be done? Who of all these parties are right; or, are they all wrong together? If any one of them be right, which is it, and how shall I know it? 11 While I was laboring under the extreme difficulties caused by the contests of these parties of religionists, I was one day reading the Epistle of James, first chapter and fifth verse, which reads: If any of you lack wisdom, let him ask of God, that giveth to all men liberally, and upbraideth not; and it shall be given him. 12 Never did any passage of scripture come with more power to the heart of man than this did at this time to mine. It seemed to enter with great force into every feeling of my heart. I reflected on it again and again, knowing that if any person needed wisdom from God, I did; for how to act I did not know, and unless I could get more wisdom than I then had, I would never know; for the teachers of religion of the different sects understood the same passages of scripture so differently as to destroy all confidence in settling the question by an appeal to the Bible. 13 At length I came to the conclusion that I must either remain in darkness and confusion, or else I must do as James directs, that is, ask of God. I at length came to the determination to "ask of God," concluding that if he gave wisdom to them that lacked wisdom, and would give liberally, and not upbraid, I might venture. 14 So, in accordance with this, my determination to ask of God, I retired to the woods to make the attempt. It was on the morning of a beautiful, clear day, early in the spring of eighteen hundred and twenty. It was the first time in my life that I had made such an attempt, for amidst all my anxieties I had never as yet made the attempt to pray vocally. Now if you want to give a chance of sincerity you should try to see if his words could find a connection in the promises contained in the Bible or not. 8 During this time of great excitement my mind was called up to serious reflection and great uneasiness; but though my feelings were deep and often poignant, still I kept myself aloof from all these parties, though I attended their several meetings as often as occasion would permit. In process of time my mind became somewhat partial to the Methodist sect, and I felt some desire to be united with them; but so great were the confusion and strife among the different denominations, that it was impossible for a person young as I was, and so unacquainted with men and things, to come to any certain conclusion who was right and who was wrong. 10 In the midst of this war of words and tumult of opinions, I often said to myself: What is to be done? Who of all these parties are right; or, are they all wrong together? he declares:" Although there is much to doubt (sic) about Smith's rendition of his encounter with the divine "personages" in the woods of Palmyra, no one doubts that the apparent religious tumult of his days was a real and significant driving force for him in devoting his life to a breakaway religious case." and after this he starts to analyze in a way logic interpretative that it has anything to do with the scriptures and become just pure speculation. Since I believe that the readers would be more interested in a biblical approach I will try to fill this gap and show to Mr. Hazen that the account of Joseph Smith is perfectly adherent to the scriptures and perfectly fulfill promises in there contained. I was one day reading the Epistle of James, first chapter and fifth verse, which reads: If any of you lack wisdom, let him ask of God, that giveth to all men liberally, and upbraideth not; and it shall be given him. Does the Bible agree with this promise? Matthew 16:13-18: "When Jesus came into the coasts of Caesarea Philippi, he asked his disciples, saying, Whom do men say that I the Son of man am? And they said, Some say that thou art John the Baptist: some, Elias; and others, Jeremias, or one of the prophets. He saith unto them, But whom say ye that I am? And Simon Peter answered and said, Thou art the Christ, the Son of the living God. And Jesus answered and said unto him, Blessed art thou, Simon Barjona: for flesh and blood hath not revealed it unto thee, but my Father which is in heaven. And I say also unto thee, That thou art Peter, and upon this rock I will build my church; and the gates of hell shall not prevail against it." This simple question that Jesus asked is very important for me. I always wondered why He asked his Apostles who He was after almost three years of being together, shoulder to shoulder. Even more astonishing, is why He had to ask that question after they had witnessed so many miracles and had heard Him teach so many beautiful things about God. But more than that, there had been many times when Jesus had alluded to or affirmed that He was the Messiah and the Son of God. With this understanding of the life of Jesus and His disciples up to this time, I realized there had to be a important purpose behind this simple question. From the scriptures themselves, it seems that the purpose was to point out the importance of having direct revelation from God as the only sure way to know the true of everything. Let's analyze this statement of Jesus more closely. has not revealed it unto thee, but my Father which is in heaven...." Here we see that Peter received a revelation of the mission of Jesus directly from God Himself. "... and I say unto thee, That thou art Peter, and upon this rock..." The word "rock" is the subject of the previous comment, which was about receiving a revelation from God. "... I will build my church; and the gates of hell shall not prevail against it." The topic which Jesus is talking about concerns the revelation which Peter had received from God. Therefore, it is clear that when Jesus refers to how He will build his church, this is an explanation about that revelation which Peter just received. Unfortunately, others try to interpret this phrase to fit their own ideas. The Catholic church declares that Peter is the rock. This is because in Italian, Peter (Pietro) it is similar to stone (Pietra). Therefore, by changing the context of the phrase, they can maintain that there was no apostasy because Jesus said that "the gates of the hell shall not prevail against it." However, this promise of Jesus, when read in context, only means that it is impossible to be deceived when we receive revelation from God by prayer. The Protestants who deny the principle of revelation, say that the "rock" refers to Christ, because in another verse it states that Christ is the Rock (1 Corinthians 10:4). That is true, but not in the same sense we find in Matthew. Again, we need to put this verse in context, and when we do we see that Paul is referring to something different than Christ was. Christ's remarks clearly refers to revelation as being the basis of communication between God and man. Also, clearly inferred, is the idea that without this revelation, man is left to be "tossed to and fro, and carried about with every wind of doctrine, by the sleight of men, and cunning craftiness, whereby they lie in wait to deceive; (Ephesians 4:14). But did Jesus have anything else to say on this subject? Matthew 7:7-10: "Ask, and it shall be given you; seek, and ye shall find; knock, and it shall be opened unto you: For every one that asketh receiveth; and he that seeketh findeth; and to him that knocketh it shall be opened. Or what man is there of you, whom if his son ask bread, will he give him a stone? Or if he ask a fish, will he give him a serpent?" What a beautiful promise! But what I would like to take notice of is where Jesus said: "whom if his son ask bread [do you remember who is the living bread?] will he give him a stone? Or if he ask a fish( Did you know that the fish is a symbol of Christ or Christianity? even now on many car of Protestant people you can see the symbol of the fish and the word "Jesus", will he give him a serpent [do you remember who is the serpent?]" How do we ask anything from our Father in heaven? Is it not by prayer? I don't think Christ's use of the words bread and serpent were by chance. Therefore, it's clear that Jesus is once more promising us that if we pray to God, in return we will receive "bread" or "fish" (the living Christ) rather than the "serpent" (the devil), thus reassuring us about the safety of who answers our prayer. In another place, Jesus said, "And all things, whatsoever ye shall ask in prayer, believing, ye shall receive" (Matthew 21:22). This is another promise concerning prayer, but the word "believing," is an important condition of this promise, as we will see. Mark 11:19-24: "And when even was come, he went out of the city. And in the morning, as they passed by, they saw the fig tree dried up from the roots. And Peter calling to remembrance saith unto him, Master, behold, the fig tree which thou cursest is withered away. And Jesus answering saith unto them, Have faith in God. For verily I say unto you, That whosoever shall say unto this mountain, Be thou removed, and be thou cast into the sea; and shall not doubt in his heart, but shall believe that those things which he saith shall come to pass; he shall have whatsoever he saith. Therefore I say unto you, What things soever ye desire, when ye pray, believe that ye receive them, and ye shall have them." Notice that Jesus used the words "desire" "believe" and "have faith in God." In John 14:13-17 Jesus made a similar promise: "And whatsoever ye shall ask in my name, that will I do, that the Father may be glorified in the Son. If ye shall ask any thing in my name, I will do it. If ye love me, keep my commandments. And I will pray the Father, and he shall give you another Comforter, that he may abide with you for ever; Even the Spirit of truth; whom the world cannot receive, because it seeth him not, neither knoweth him: but ye know him; for he dwelleth with you, and shall be in you." Here Jesus introduce the Comforter. In Luke 18:1-8 Jesus again gave us another promise about prayer. "And he spake a parable unto them to this end, that men ought always to pray, and not to faint; Saying, There was in a city a judge, which feared not God, neither regarded man: And there was a widow in that city; and she came unto him, saying, Avenge me of mine adversary. And he would not for a while: but afterward he said within himself, Though I fear not God, nor regard man; Yet because this widow troubleth me, I will avenge her, lest by her continual coming she weary me. And the Lord said, Hear what the unjust judge saith. And shall not God avenge his own elect, which cry day and night unto him, though he bear long with them? I tell you that he will avenge them speedily. Nevertheless when the Son of man cometh, shall he find faith on the earth?" This parable of Jesus teaches the importance of constantly praying to God. When we have desire, faith, belief and constancy, then we have the promise that we will receive from the Lord what we are asking for, if it is right. Because of these promises, if I were Satan, I would certainly strive to fight against the power of prayer with all the means at my disposal. I would try to convince men that prayer doesn't work. I would try to convince men they could be deceived through prayer. I would try to convince men to trust in something more reliable than prayer, such as the words of political/social leaders or convincing preachers or their own interpretation of the Bible. In fact, this is exactly what we have seen happen in the past as well as in our own day. We should always remember that those who teach that we don't need to pray are not acting in the name of the Lord. Satan usually prefers us to stay in darkness. He wants people not to think about him. It's in that way he can do his work more effectively. There were two particular occasions when he had to manifest himself. The first one was in the wilderness at the beginning of Christ's mission. We know that he was trying to stop the proclamation of the Gospel and was using the scriptures to try to deceive the Lord Himself. The second time was in the Gethsemane. Luke 22:39-46: "And he came out, and went, as he was wont, to the mount of Olives; and his disciples also followed him. And when he was at the place, he said unto them, Pray that ye enter not into temptation. And he was withdrawn from them about a stone's cast, and kneeled down, and prayed, Saying, Father, if thou be willing, remove this cup from me: nevertheless not my will, but thine, be done. And there appeared an angel unto him from heaven, strengthening him. And being in an agony he prayed more earnestly: and his sweat was as it were great drops of blood falling down to the ground. And when he rose up from prayer, and was come to his disciples, he found them sleeping for sorrow, And said unto them, Why sleep ye? rise and pray, lest ye enter into temptation." The first exhortation Jesus gave his disciples in the Gethsemane was to pray. After that, He himself went off to pray. The scripture then states that while He was in agony an angel appeared from heaven to strengthen him. It is my opinion that His agony and the atmosphere in which He found Himself suggests that the Devil was also there trying to prevent Jesus from carrying out the atonement. Notice that, like Jesus in Gethsemane, Moses was also strengthen in order to withstand the efforts of Satan to prevent God's plan from being carried out. bind my tongue so that I could not speak. Thick darkness gathered around me, and it seemed to me for a time as if I were doomed to sudden destruction. Once again we see Satan exerting his terrible power to prevent someone from praying. And why was Joseph praying? Because he was following the admonition of James who taught us, "If any of you lack wisdom, let him ask of God, that giveth to all men liberally and upbraitheth not, and it shall be given him. But let him ask in faith, nothing wavering" (James1:5-6). sure he knew what power could have the prayer of Joseph connected to the promise in James, did you know that the epistle of James was the last one to be admitted to the canon? He fight also in that occasion. He had to manifest himself, he had no choice, but he lost! Somebody will say that the scriptures are the key, we will see that the scriptures are revelations obtained by the prayers of right people and also Satan like in the wilderness interpreted the scriptures, the men do the same we have about 800 different churches, interpreting in 800 different opinions, why this confusion? Galatians 1:12: "For I neither received it of man, neither was I taught it, but by the revelation of Jesus Christ". It happened what we call the First vision. Mr. Hazen didn't touch this point in his cultural approach, maybe it was no worth to mention it, maybe he is thinking is no biblical and people will understand that it is no worth to discuss this point. I have a different opinion about this in fact the first vision, connected to the suggestion given in James is the keystone of the conversion, in fact when we talk about to receive a testimony from God we refer to the first vision given to the prophet according to the promises contained in the scriptures. so we need to scrutinized this point by the Bible and in my opinion, since all the churches, especially the Protestants, don't believe in vision in the last days, if the Bible speaks about this to support this idea we will have a strong point to assert that Joseph had the vision. gives us some clues about it? first, and that man of sin be revealed, the son of perdition." there was indeed an apostasy or a turning away from the truth. made of necessity a change also for the law." times the Lord wept over Israel because they would not follow his ways. the Gentiles, and, along with it, the Melchisedec priesthood. God -- that God would have done the same as he did to the Hebrews? Luther was a Catholic priest, he had the authority to reform the church. Luther's authority then? Did he have any to reform the church or not? was given unto him to make a war with the saints, and to overcome them"
even before the dark ages. references related to this subject. there be a restoration of all things unless all things were first lost? ask him, Who art thou? And He confessed, I am not the Christ." the Jews were also awaiting another person, besides the Messiah. knew about prophet Elias coming again. the record of John the Baptist that he knew about these three prophets. from the Bible, only because it is common ground that we can all accept. their prudent men shall be hid." out of obscurity and out of darkness"
Lord that will open the eyes and ears of people in the last days. believe in the spirit of prophecy? visions, because this give me more power in what I am trying to prove. one isn't? Both of them can't be right. Bets of all we have in the Bible different accounts about the resurrection of Jesus. In Luke 24:4 it says that two angels appeared at the empty tomb to the women, while in Matthew 28:2 it mentions only one angel appearing to the women. Can I laugh? maybe the same charges given to Joseph Smith should be given to the writers of the New Testament or not? Also sometimes our "friends" say that once Joseph affirmed to received a vision of an angel another time God, I wrote before that to avoid this confusion Joseph wrote the official version, but why nobody remarks that in the same Bible, speaking of the vision on the Mount of Sinai, and we know for sure Was Jehovah God speaking to Moses, in several other places it is written that an angel appeared to Him, maybe the Bible is no more reliable? or maybe they had the same problem about miscommunication? Because I guess there is a big difference between God and an angel, but in this case the friends stay quiet and calm. With that understanding, let's go directly to the official declaration. myself and the Church, so far as I have in my possession." delivered to him "The Eternal Gospel"
tarry, wait for It; because it will surely come, it will not tarry." concerning the time it will occur and the importance of it. Why is this? I guess it should be simple to say because we have to live by faith. his book which is contained in our Bible. already had it in the Bible? Does that make sense to you? It does to me. Bible would be have to be an accomplice to the fraud. deliberately did things to make it appear that he fulfilled prophecy. Mr. Hazen instead to analyze the first vision and try to destroy this point went trough many different speculations about our doctrines, being not a Mormon I really doubt if ever he was able to fully understand them and he concludes. "These proffered solutions played the role of a stepladder for many to get over the IMPLAUSIBILITY OF SMITH'S VISIONS ( so he concluded that his visions were a fraud without going to discuss them just because irrelevant) his prophethood, and the fantastic story of his discovery and translation of the book of Mormon." In this chapter Mr. Hazen is criticizing the testimony of the witnesses of the book of Mormon and sincerely I didn't find this part interesting at all, after that he writes:" not only did the Book of Mormon contain the statements of living witnesses, but the very fact that it existed was itself a powerful and tangible witness for the first generation of the restoration era. As Leonard Arrington confirmed:"The Book of Mormon itself was conceived as another piece of evidence "to the convincing of the Jew and Gentile that Jesus is the Christ, the Eternal God." The very fact that it was there and seemed credible to some was a real leg up on the competition. But the fact that it also invited investigation and seemed to be in fact something testable, whether or not could pass any such tests, was in and of itself persuasive." Since Mr. Hazen is not willing to explain us why he think the Book of Mormon is part of a schema, I will take the occasion to explain why the Book of Mormon could be true. See I write could, just because I want to teach these people that when we talk in debate and if you want to really have respect for the other opinion you should at least give them a chance. Well if this is a true for a latter day saint it should be true even for a Christian or not? I will use the Bible and not just to defend the Book of Mormon, I know that the Book of Mormon doesn't need to be defended, but I will use the Bible to prove that a book or a story, written by Hebrew descendents would have come forth in the last days, that an angel would have brought this good news and many other things, probably I will repeat the same scriptures later but it will be necessary, just as an hammer need to hit the nail more than once to make sure that it will go deeper until is stable. Let's go ahead by the Bible. The book of Mormon declares that the Jaredites and the Nephites worshipped the Lord after the Babel's tower until 400 a.c.
Psalms 65:8 "They also that dwell in the uttermost parts are afraid at thy tokens"
Zephaniah 3:10 "From beyond the rivers of Ethiopia my suppliants,even the daughter of my dispersed shall bring me mine offerings." Isaiah 24:16 "From the uttermost part of the earth have we heard songs, even glory to the righteous." 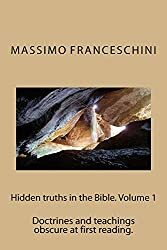 From these passages is clear that the Bible is confirming that there were people in the uttermost part of the earth worshipping the true God, why is that? Why we don't have more in the Bible? Psalms 98:3 "All the ends of the earth have seen the salvation of our God." Could you maybe think that these two verses could refer to the visitation of Jesus in that part of earth after his resurrection? just a clue! after all On the book "The 100" A ranking of the most influential persons in history of Michael H. Hart, speaking of Pizarro and Cortes it is written:"When, in 1967, the Israelis won a dramatic victory over Arab nations which greatly outnumbered them, and which possessed far more military equipment, many persons were surprised. It was an impressive triumph; but history is studded with examples of military victories won against sizable numerical odds.However, Pizarro's conquest of an empire of over 6 million with a force of only 180 men is the most astonish military feat in history. The numerical odds he overcome were considerably higher than those which faced Cortes, who invaded an empire of roughly 5 million with a force of 600 men.But, one might ask, did not Spanish firearms give them an overwhelming tactical advantage? Not at all. Arquebuses, the primitive firearms of the time, had a small range and took a long time to reload. Although they made a frightening noise, they were actually less effective than good bows and arrows. In any event, when Pizarro entered Cajamarca, only 3 of his men had arquebuses, and no more than 20 had crossbows. Most of the Indians were killed by conventional weapons such as swords and spears. Despite their possessions of a few horses and firearms, it is plain that the Spanish entered the conflict at an overwhelming military disadvantage. What then happened? Speaking about Cortes and mentioning the same things the writer added:" Cortes was also aided by Aztec legends concerning the god Quetzalcoatl. According to Indian legend, this God had instructed the Indians in agriculture, metallurgy, and government; He HAD BEEN TALL, WITH WHITE SKIN, AND A FLOWING BEARD. AFTER PROMISING TO REVISIT THE INDIANS, HE HAD DEPARTED. To Montezuma, it seemed very possible that Cortes was the returning god, and this fear seem to have markedly influenced his behavior. Certainly the Montezuma's reaction to the Spanish invasion was very weak and indecisive. At this point is a clue, but what a clue!! please read White and Bearded God to have a complete list of the traditions of the Indians American on this topic from non Mormons historians. Colossians 1:6,23 "Which is come unto you, as it is in all the world; and bringhet forth fruit, as it doth also in you." Maybe somebody could say Paul was referring to the world known, well it is enough to go to the verse 23 "If ye continue in the faith grounded and settled, and be not moved away from the hope of the Gospel, which ye have heard and which was preached to every creature which is under heaven; wherefore I Paul am made a minister." We have here 3 important notices, First : was preached it is clear the Gospel, second : in everywhere, third he is speaking about the same Gospel when he is saying :wherefore I Paul am made minister. Pretty cool, right? The book of Mormon maintain to be the story of the tribe of Joseph. "Thou hast with thyne arm redeemed thy people, the sons of Jacob and Joseph." A remnant would escape from Jerusalem. Lehi proclaims in the book of Mormon that in the first year of the king Zedekiah, king of Juda, there came many prophets unto the people of Jerusalem prophesying that unless the people repented, the city of Jerusalem would be destroyed. The Bible maintain the same idea. But they mocked the messengers of God, and despised his words; and misused his prophets, until the wrath of the Lord arose against his people, till there was no remedy." "And the remnant that is escaped of the house of Judah shall yet again take root downward, and bear fruit upward, For out of Jerusalem shall go forth a remnant, and they that escape out of mount Zion: the zeal of the Lord of hosts shall do this. The Book of Mormon is a written record of these people, who are a branch of Joseph, a remnant of the house of Israel. In Ezekiel 12:16 we read this about the impending destruction of Jerusalem: "But I will leave a few men of them from the sword, from the famine, and pestilence, that they may declare all their abominations among the heathen wither they come: and they shall know that I am the Lord." But the prophecy of Ezekiel also declared that those who were saved would "declare all their abominations among the heathen." The question we need to ask ourselves is: if they were going to declare all their abominations among the heathen, then where are these declarations of theirs? Do we have them today? In this scripture the Lord is speaking about Jews declaring their message among the heathen nations. If they did this, as the Lord said they would, if this scripture is true, then we should have some written record from them, or at least about them and what they said. In Ezekiel 14:22-23 we read, "Yet behold, therein shall be left a remnant that shall be brought forth, both sons and daughters (could this be Lehi and his family?). Behold they shall come forth unto you and ye shall see their way and their doings..."
At this point, let's ask ourselves the question: How can others see their ways and their doings without some sort of a written record? Then, we need to ask a follow-up question: What is the purpose of this record? The remainder of the above verse gives the answer: "...and ye shall be comforted concerning the evil that I have brought upon Jerusalem even concerning all that I have brought upon it and they shall comfort you, when ye see their ways and their doings: and ye shall know that I have not done without cause all that I have done in it. Saith the Lord God." "Let all the nations be gathered together, and let the people be assembled: Who among them can declare this, and shew us former things? Let them bring forth their witnesses, that they may be justified: or let them hear, and say, it is true..... Behold, I will do a new thing; now it shall spring forth; shall ye not know it? I will even make a way in the wilderness, and rivers, in the desert. This people have I formed for myself; they shall shew forth my praise. But thou hast not called upon me,O Jacob, but thou hast been weary of me, O Israel." Isaiah prophesied, "And in that day shall the deaf hear the words of the book, and the eyes of the blind shall see out of obscurity, and out of darkness" (Isaiah 29:18). What "book" is Isaiah referring to? It can't be the Bible because the word "bible" literally means "a book of books", or a compilation of books. In the days of Isaiah, the scriptures were not contained in one book, as we have today. Each book of our present-day Bible was a separate and distinct scroll. So Isaiah must have been talking about a different book than the Bible. Notice that because of this book, "the eyes of the blind shall see out of obscurity and out of darkness." This book would be responsible for bringing people out of spiritual darkness and help them to see the salvation of the Lord more clearly. Obviously, Isaiah can't be talking about the Bible because just the opposite is true with it. There are more Christian churches today teaching different doctrines of salvation than any other religion in the world. And they all base their beliefs on the Bible! If there is any spiritual blindness and darkness, Christians as a whole easily fit into that category. Then what book is Isaiah referring to? Isaiah 49:21 "Then shalt thou say in thine heart, Who hath begotten me these, seeing I have lost my children, and am desolate, a captive, and removing to and fro? and who hath brought up these? Behold, I was left alone; these, where had they been?" And what is it that will open their eyes and allow them to see the redeeming work of God and the salvation of the house of Jacob and especially the tribe of Joseph? A book! And when has there been such a book come forth in the history of the world since the time of Zachariah, Isaiah, and Jeremiah that has had this effect upon every nation? There are many other scriptures related to angels bringing books or revealing god news in the last days but at this point I am interested in just pointing out, biblically, that a book or story is clearly prophesied to come forth in the last days and trying to be more than respectful I want to tend my hand to my opponent and say that maybe this book or story is not the Book of Mormon, but I hope that they are in the same way kind and respectful in admitting that at least we should look forward ( if they don't accept the Book of Mormon) awaiting the fulfillment of these prophesies that unfortunately are contained in the Bible, at the same time they should allow me to look back because I have already receive a book or story which fits perfectly to the descriptions given I the Bible, at least on my opinion and if I respect their opinion because I am a kind a and polite person I still hope to receive the same after that I have provided the necessary evidence to support my belief. Is this fair, polite and respectful? "Although some of the issues and evidence that attracted early converts may not be particularly persuasive today." Mr. Hazen seems not aware of what the introduction of this book maintain so I need to remind him, just in case. On the back cover of the new book "The new Mormon challenge"
"Nineteenth-century America was fertile ground for a number of new religious movements with astonishingly theological commitments. I believe (sic) the evidence is utterly compelling (sic) that Joseph Smith acquired most of his ideas from the same environment that spawned some of the exact same thinking, without divine visitations, in leaders such a spiritualist Andrew Jackson Davis, mind-cure founder Phineas Parkhurst Quinby........But the popular intellectual atmosphere has itself moved on, and those in our day who wish to defend the LDS restoration cannot recapture the advantage their forebears enjoyed." 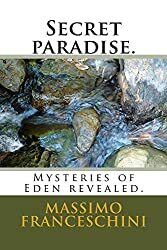 Mr. Hazen is probably dreaming here or maybe is just trying to deceive himself because evidence given from his book itself is showing a tremendous impact on the people right now, in fact this book is written under the influence of this fear the tremendous growth of the LDS church or not? It seems to me that the writers on this book didn't know what the other guys were writing in fact Mr. Hazen in his conclusion at page 57 writes. "In my opinion (sic) the New Mormon apologists have a very long way to go to produce a convincing case for the truth of the restoration... I do not envy their task, because so many of the raw materials for a robust defense are missing......The LDS movement that once resonated with popular nineteenth-century thinking is struggling to find new chords to strike at the beginning of the twenty-first century". Maybe Mr. Hazen is so confident because now he is on the field because according to the book "Mormon defenders"
Clearly the writer wasn't satisfied of what Dr Craig Blomberg presented and maybe he thought that Dr. Robinson won the prize because he continued:"I was disappointed that Dr. Blomberg was not more aware and critical (practically is saying that Dr. Blomberg didn't understand much of what was going on) of Dr. Robinson's less-than-mainstream (or less-than-candid) presentation of his Mormon faith." "but after that in 1998 Carl Mosser and Paul Owen came to the rescue and they warned:"The sophistication and erudition of the LDS apologetics has risen CONSIDERABLY while evangelical responses have not (sic), the need is great for trained evangelical biblical scholars, theologians, philosophers and historians to examine and answer the growing body of literature produced by traditional LDS scholars, if we do not take this threat seriously we will needlessly lose the battle without even knowing it"
So far dear Mr. Hazen evidence is on our part and the future is in God's hand not in yours. Of all the "alternative religious movement" birthed in the last 250 years, Mormonism is by far the most successful. Evangelical have often underestimated the challenge Mormonism's success poses to evangelism and world missions, if they have considered it at all. This problem is exacerbated by the fact that as community, evangelicals tend to be poorly informed about advances in LDS apologetics and theology...LDS.... have begun to enter the academy and produce GENUINE works of scholarship that HAVE APOLOGETIC SIGNIFICANCE for Mormon truth claims. They have also begun to develop their theology in ways that render many traditional portraits and, in turn, the critiques based on those portraits, INACCURATE AND OUTDATED.....I will discuss the increasing presence of LDS scholars in the academy and how this translates into an apologetic challenge that requires the response of evangelical Bible scholars, historians and philosophers. Clearly Mr. Mosser has an other perception of the reality. In 1969 Jack W. Carlson boldly predicted that by the year 2000 the Mormon population of the world would rise from 2.6 million of the world's 3 billion inhabitants to 8.5 million of a projected 5 billion inhabitants. Carlson was mistaken. The world's population and LDS membership both exceeded his predictions, but not equally. World population grew approximately 20% higher than predicted; LDS membership exceeded the prediction by 29%. In the year 2000 world population reached 6.1 billion persons, and LDS church membership surpassed 11 millions members. In 1984 Rodney Stark, the eminent sociologist of religion and professor at the University of Washington, wrote an important article in which he made an even bolder prediction. He claimed that with Mormonism we are witnessing the rise of a new world faith. In that article he attempted to demonstrate "that the Church of Jesus Christ of Latter day- saints, the Mormons, will soon achieve a worldwide following comparable to that of Islam, Buddhism, Christianity, Hinduism, and the other dominant world faiths." He stated:" Indeed, today they stand on the threshold of becoming the first major faith to appear on earth since the prophet Mohammed rode out of the desert." This is due largely to the fact that Mormonism is unsurpassed in its missionary effort and has many social benefits to offer converts. These and other factors favor a continued rate of rapid grow. at page 63 after other good comments about how and why the LDS church is growing so good and so fast (Mr. Hazen has a different opinion but Mr. Mosser is giving facts or better numbers no opinions) he continues. Some denominations have been known to deliberately inflated their numbers (liars) and other use faulty means of data collection that result in inflation (deceivers). In case one should think that the LDS church has deliberately inflated her official membership figures, as is sometimes suggested, one should note Stark's comments about them:"One of the great scholarly advantages in studying the Mormons," he writes,"is the extraordinary detail and high quality of their records and their recognition, that statistics are at least as vital as names and dates." "it is worth noting" he further states, "that Mormon statistics are extremely reliable (is there another denomination that actually sends out auditors to check local figures?" The research efforts of other denominations shrink to insignificance when compared with the quality, scope,and sophistication of the work of the Mormon social research department." At this point I am wondering if it is the case for me to go ahead and read more from this book because two of the authors are in open contrast in what they believe on futile problems for the Mormons but a lot important for the evangelicals, so I am thinking these learned scholars should find an unity between their opinions and after trying to fight ours, make sense? "With respect to Mormonism specifically, it must be pointed out that neither the Book of Mormon nor the message of LDS missionaries can make much sense to someone who lacks at least some basic knowledge of the Bible or Christian belief. Latter day saints translate the Book of Mormon into many languages; to my knowledge they do not engage in Bible translation, nor are LDS missionaries sent into lands where the Bible has not yet been translated. Mormonism's spread into new cultures is literally dependent on the success of Bible translation organizations like SIL/Wycliffe Bible translators. Neither does Mormonism' primary message of the restoration of the "fullness of the Gospel" make much sense unless there are Christian churches already established that lack this "fullness". Thus Mormon growth largely depends on the prior success of Protestant and Chatolich missionaries. This provides a third important reason why evangelical cannot afford to shrug off predictions of Mormon growth: Mormon missionaries don't evangelize, they proselytize." the world's fastest growing religion? In this section the author is trying to minimize what was saying just the chapter before maybe to tranquilize a little the evangelical reader but maybe he made a mistake comparing the Protestants as whole, because they are not united they are hundred of different denominations and they are different in names and organizations, if they want to counted as whole they need to be as whole, I mean they should found one church, define their doctrines once a and for all and have one name and organization at the point they could count their numbers togheter, now they are counting apples with oranges rather than apple with apple. "It should be clear that already Mormons have achieved a place in the academy unparalleled by any other group commonly classified as a New Religious movement. If Mormon growth continues at a rate anywhere near its current one, and if Mormons continue encouraging their students to pursue graduate degrees in the fields listed above, one can only presume that the LDS presence in the academy will continue to grow and that this will be used to the furtherance of LDS truth claims. As it is, the majority of LDS scholarship, including that published in non-LDS venues, supports a cumulative argument for LDS truth claims in some way or other (Often as pieces to a larger puzzle that has yet to be fully assembled)." Scholarly Arguments for Mormon truth claims. "One LDS scholar makes the following challenge to the scholarly world:"It claims to be an ancient book, and it must be examined and criticized in terms of its claim.......Since nobody could feasily invent a work the length of the Book of Mormon which represented ancient Near Eastern society accurately.....subjecting the book to the test of historical integrity would be rather easy task for any specialist to undertake.....It is precisely this dimension of historical criticism, however, which has been almost totally neglected in attempts to establish the book as a fraud." In addition to the alleged ancient features of the Book of Mormon, LDS scholars try to show that distinctive doctrines of the LDS Church have no precedent in the nineteenth century or in any of the centuries preceding it back to ancient times. But, it is claimed, these distinctive beliefs do have parallels among the ancient Jews and earliest Christians. In this regard, Mormons have taken a keen interest in the Dead Sea scrolls, the Pseudepigrapha, the Nag Hammadi codices, and the writings of the Church Fathers. They have, on occasion, discovered some striking parallels, to say the least. Even the world's foremost authority on the Pseudepigrapha, James Charlesworth, acknowledges parallels between the Pseudepigrapha and the Book of Mormon that he describes as "Important parallels....that deserve careful examination." Since many of the texts in which such parallels are found were not even discovered until twentieth century, Mormons challenge the world to explain them apart from Smith's claim to divine revelation. They in effect ask:"Is it really rational to believe that a New York farm boy recreated so many elements of the ancient world all by himself? Could anyone in the nineteenth century have pulled this off?" In addition to discovering parallels with the ancient world, LDS scholars are attempting to free the Bible from what they perceive to be naturalistic and unbelieving scholarship on the one hand, and on the other, a believing scholarship whose vision has been blinded by an inheritance of Hellenistic Philosophy. "The fact is that the community of LDS scholars is not yet a large one, and there are many weaknesses that one could cite of LDS scholarship generally. But it is also a fact that the number and quality of LDS scholarship producing apologetically relevant works is growing.......Even if there is some risk that my discussion gives a slightly overstated impression of the current state of LDS scholarship, the point of my discussion should not be mitigated: it is important that evangelical critiques of Mormonism keep pace with its defenses. he writes on the same topic :"When I have discussed these theological trends with other evenaglicals, some have been very resistant to the notion that there has been any theological development within contemporary Mormonism. They have insisted , a priori, that what Robinson and others like him teach is really no different than traditional Mormonism......I have been told that this literautre ought to be ignored and that we should focus our critiques on "real" Mormonism, that is, the traditional synthesis. This kind of reply reminds me of a comment philosopher John Bishop makes while reproving atheists who refuse to criticise anything except traditional concepts of God: "They jealously guard the kind of God they don't believe in!" Likewise, some evangelical apologists jealously guard the kind the kind of Mormonism they don't believe in." " For some time I have advocated that evangelicals focus their critiques of Mormon theology on its contemporary versions. A common objection to this is the insistence that we should only critique "official" LDS theology" after this the writer is trying to justify his will to fight even the contemporary ideas. CHANGING OUR APPROACH AND OUR ATTITUDES TO MEET MORMONISM'S CHALLENGE. I love this part because it is a direct admission that they are losing the battle and they are aware of it. The rise of a genuine scholarly community and the devolopment of minimalist theologies will not allow us to keep doing thinga according to the model we INHERITED. It will become increasingly important for evangelical leaders in various capacities and at all levels to familiarize themselves with contemporary Mormonism literature as it continues to growth and evolve into a major religious movement. The missionary force of the LDS Church is IMMENSE and poses a serious challenge to evangelical missionary work around the world.........For Mormonism is not growing only out on the mission field but also in the fields of the missionary sending nations..........in short , we need to do our Christianity better. "The LDS apologetic has increased considerably in its sophistication and use of scholarly tools. When Evangelical writers refuse to interact with Mormonism's most articulate literature, this gives Latter-day Saints and others the impression that we are not interested intruth or in trying to genuinely understand the beliefs of our neighbours......this in turn, leads to the feeling that we evangelical are interested only in tearing down the belief of others, by whatever means necessary, rather than in presenting principled and well reasoned critiques.......Lest some of the mistakes of the modernist controversy be repeated, it is imperative that qualified evangelicals engage the New Mormon apologetic at this stage, as the authors of this book." after this he repeated his opinion in discuss even the unofficial lds ideas and not only the official. "I have no fear about Mormonism's growing so much at the expenses of evangelicalism that IT ACTUALLY CRIPPLES THE EVANGELICAL MOVEMENT. Indeed, while I have many criticism about things that I observe in my own community, it also clear to me that the Holy Spirit is moving mightly in many segments of it"
Well I can say the same the difference in my opinion is that the Holy Spirit is moving people from evangelical to LDS at least according what Mr. Mosser has declared in his few chapters. In the next page anyway Mr. Mosser declares:" I am convinced that the task of LDS apologetics is ultimately doomed to failure. My concern about LDS apologetics is not that Mormonism will be proven true, but that the arguments of LDS scholars will either wrongly convince or shake the faith of those who do not have the skills to properly investigate the issue." Sorry but when Mr. Mosser is referring to skills I have to dissent, he should say " who do not have a testimony" Gospel is about testimony not about skills, but clearly evangelical don't have a testimony of the Gospel because they don't believe in revelation so he is forced to talk about skills, and we can talk about testimony. Going ahead the writer is saying that he is seeing and increase in the church emphasing its commitments to the centrality of Christ in its doctrine but maybe he is not aware that Christ was always at the center in our church, Our church brings His holy name from the very beginning and we do everything in the chrch in His name and to classify us as no Christians not only is stupid but it is false too. and to end in this honest way:" To evangelical I would like to point out that as a community, with respect to Mormonism and other New Religious Movements, we have often succumbed to the SINFUL habits of caricaturing and demonizing the enemy, recycling arguments THAT HAVE BEEN LONG ANSWERED, refusing to admit GENUINE MISTAKE, and being generally uncharitable.........Combatting error should never be used by Christ's ambassadors as an excuse to display un Cristilike behavior. I hope that this changes won't be just because their tactics didn't work at all but just because they are sincere. CREATION EX NIHILO OR NOT? Does the Book of Mormon reflect an ancient near eastern background?